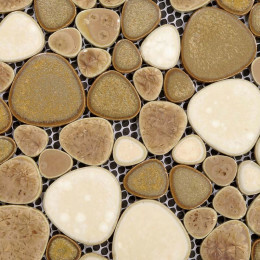 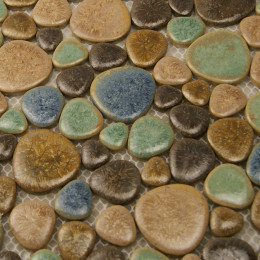 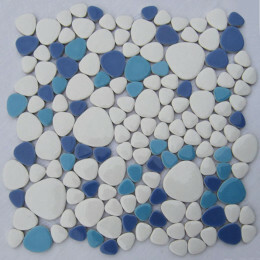 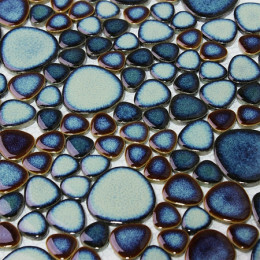 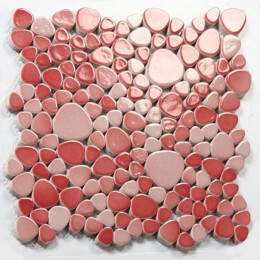 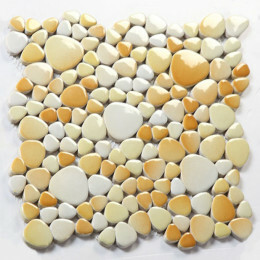 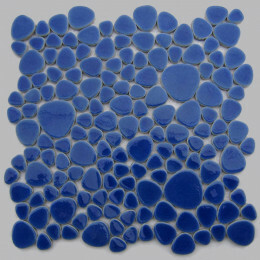 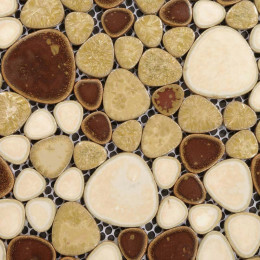 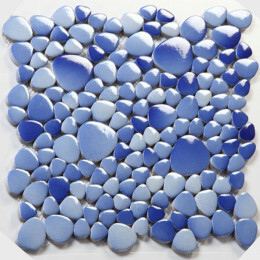 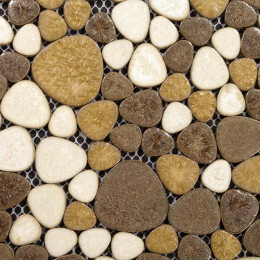 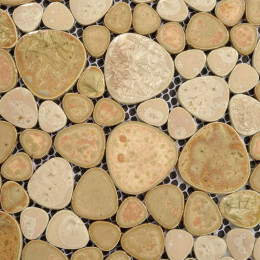 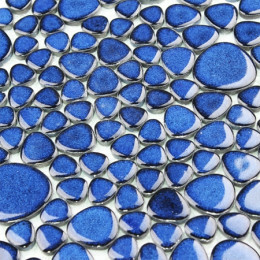 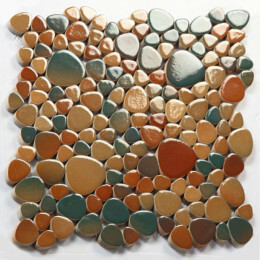 Porcelain pebble tile is designed as pebble shapes. 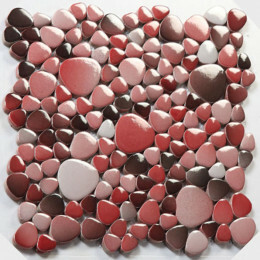 The chips look like triangles with rounded edges, also look like heart shape. 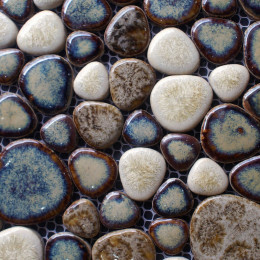 The ceramic pebble tile was made of porcelain which almost has zero water absorption. 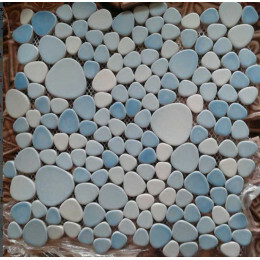 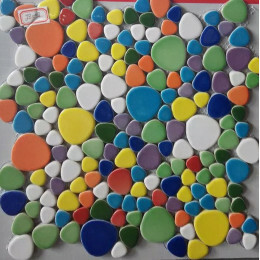 Therefore, the tile pebble is extremely good for swimming pools, bathroom, shower floor, fireplace, gas stove - set of pebbles can create a gorgeous look of hot coal burning in fireplace. 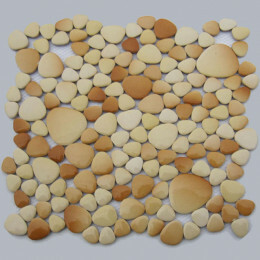 The key point for production is the temperature. 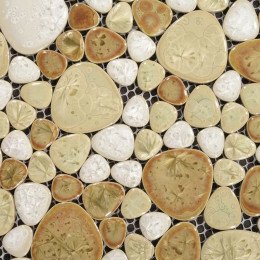 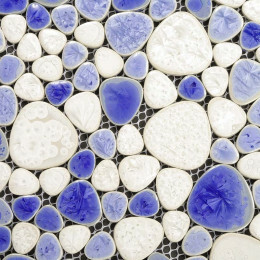 Only the right temperature can bring beautiful fambe effect that looks like flowers on the finish of the tile.